This Oyster Stew recipe is traditionally served on Christmas Eve, but it's good any time of year - not just for Christmas. I would be very careful when adding the seasoning - just try a little Worcester Sauce to begin with - adding more if you think it needs it. 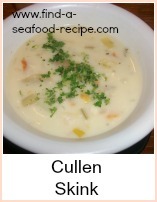 Serve it into warm soup bowls - divide the oysters between them and then pour the broth over. If you add loads of warm crusty bread to mop up the juices, you will have a lovely meal for 4 to 6 people. Just right for a simple but luxurious meal. Heat the butter in a large pan and gently fry the onion, pepper and garlic until softened. This will take about 10 minutes or so - you need to shake the pan so that things don't brown - the end result needs to be pale and milky. 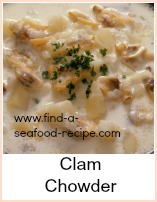 Add the milk and oysters and simmer until the edges of the oysters begin to curl - about 3 or 4 minutes. Add the Worcester sauce and taste, adding salt and pepper as necessary. Although this is a traditional Christmas Eve dish, you really can use it on any occasion. If you buy your oysters fresh, then you can ask your fishmonger to 'shuck' them. You can buy a special oyster knife but any short bladed thin knife will do. 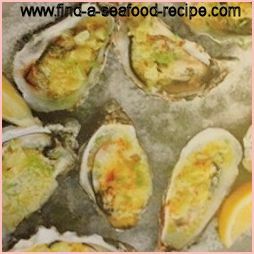 Canned oysters are as good as fresh to use in this recipe - the police aren't out and you can do as you like because it's your own kitchen! The cooking time is really short and so you would never need to prepare any of this in advance of serving. As part of a dinner party, it would be quite impressive - your guests will enjoy this soup. It is meant to be a thin stew but it's full of flavor. 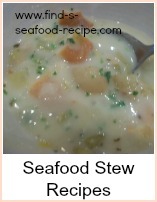 Oyster Stew - serve with crusty bread for a simple but tasty meal.